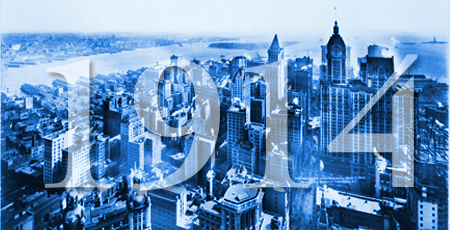 Courtesy of the NY Times' TimesMachine, we're following what New Yorkers of 100 years ago were following. Lord Kitchener tells the army to get ready, fast: "Never mind whether they know anything about drill. It doesn't matter if they don't know their right foot from their left. Teach them how to shoot and do it quickly." Churchill gives his London Opera House speech: "It is our life against Germany's. Upon that there must be no compromise or truce. We must go forth unflinchingly to the end." Poets compose a flood of verse while 53 well-known writers sign a document defending the war. On the battlefield, a moment for tea. An early try at farmer's markets in the city. How Peanuts are Salted is about as interesting as you'd expect and not as funny as Christopher Guest in Best in Show naming nuts. For no apparent reason, the Times runs a time-machine notice, published originally in 1745 in the NY Weekly Post Boy, describing Farming in NY and a farm for sale north of Turtle Bay. A selling point: the river "abounds in great Plenty of Fish, Lobsters and Crabs." The cost of war in all of human history, according to Benjamin F. Trueblood, a pacifist: 15 billion lives sacrificed and more recent wars have cost $40,000,000,000. Noted critic-at-large James Huneker waxes nostalgic for restaurants of New York past and notes that young folks are not epicures. And there's too much dancing! Iceland, hit hard by war, sounds a lot like Iceland today. Plagued by the repeated sounding of a foghorn on a steamer from Liverpool to Boston, a Titanic survivor and former stewardess on that ship, jumps overboard. She is the first of what will be 10 suicides by Titanic survivors. Read more in the book Shadow of the Titanic: The Extraordinary Stories of Those Who Survived. On the British side, Kipling goes with For All We Have and Are. For the Germans, a Munich weekly publishes Ernst Lissauer's A Chant of Hate Against England [go to page 12]: "Hate by water and hate by land/Hate of the head and hate of the hand." Haters gonna hate. Sensibly enough, animals flee Germany and Austria. Freud on the Freudian slip, including the 'Wicked Bible', an edition from 1631 which had inadvertently left out the word 'not' in the Seventh Commandment, the one about adultery. Snapshots are the "best means of studying your defects and correcting them" and a "delightful reminder of the ways we pass our days…" Birth of the selfie? A wealthy jeweler from Chicopee Mass., retires to become an Aged Globetrotter, much of it by walking.